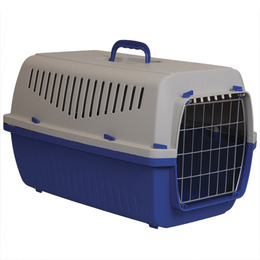 Skipper wire door pet carrier. This pet carrier is ideal for transporting your pet safely and easily. The wire door opening makes it easy to use and easy to clean. The vents allow plenty of light and air into the carrier as well as meaning that your pet can see you at all times. There are currently no questions for Marchioro Skipper Cat Carrier - be the first to ask one!